We love our customers! We believe everyone can do with bit of extra help now and then. We’re happy to give one-on-one demo or help when you have a problem. Whether you are a subscriber or not! Sometimes we all need a little help. Even the most user friendly software can sometime leave the most tech savvy of us a bit frustrated. 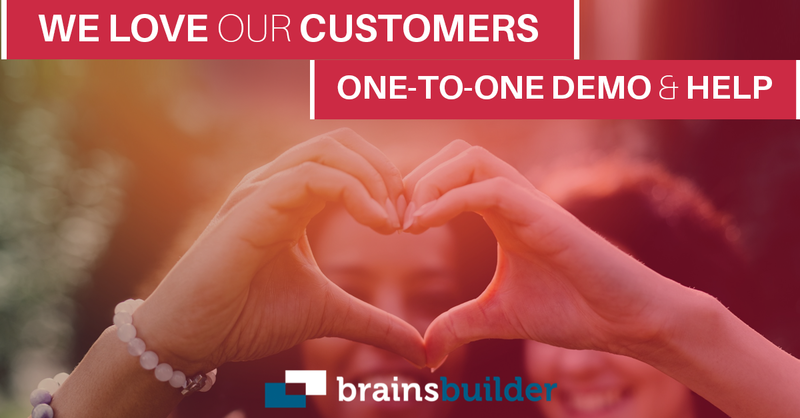 Thats why here at Brainsbuilder we are happy to give one-to-one a demo or one-to-one help when you run into difficulties. We are also happy to hear any suggestions or feedback about your experiences with Brainsbuilder or how you think it can be improved. One-to-one sessions are best done via a Skype screen share where we can see your screen (in the case of help) or you can see yours (in case of a demo). If you don’t have a Skype account you can download it at www.skype.com. It is available for almost all widely used devices and platforms. You can contact our customer support team at any time to arrange one-to-one demo or help.